To combat the harsh conditions experienced outdoors or in industrial applications, Diamond has developed a wide range of strong and customisable optical interconnect solutions built around its Diamond Multipurpose DM4 insert. Legrand has unveiled a high-speed structured cabling offering in its new LCS3 system. INNO Instrument revealed its advanced Ribbon Splicer, View 12R, at both the recent OFC and FTTH events. 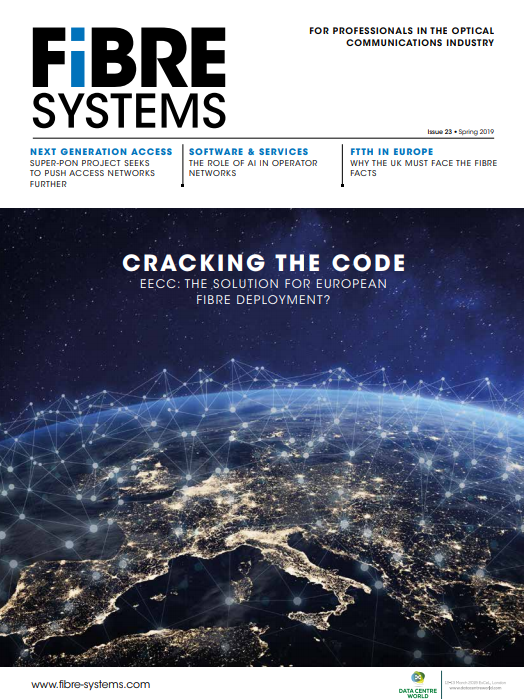 The recent FTTH Conference in Amsterdam saw CommScope introduce its new FIST Modular Splice Closure that assists network operators with building a fibre foundation for future networks. The new 3M Expanded Beam Optical Connector System is a scalable single and multimode interconnect system for data centre applications. Emtelle’s latest launch, HomeConnect is a pre-connectorised cabling system that can be installed for both internal and external use. The recent BICSI Winter Conference and Exhibition saw Sticklers launch an all-encompassing kit that contains everything required to clean and inspect fibre optics. Furukawa Electric’s Fitel S185 series of Fusion Splicers is specifically designed for splicing specialty optical fibres used in optical components, fiber lasers, and optical sensors. AFL has introduced a new range of high-fibre-count indoor/outdoor plenum tight buffered cables. Designed to be ideal for campus environments, the helically-stranded design is available from 36 to 72 fibres. The sub-units and outer sheath contain a UV stabiliser and anti-fungus protection for use in outdoor applications.